Flu season is fast approaching, and because immune systems weaken with age, older adults are at higher risk of complications from the flu. In fact, according to the National Council on Aging, adults 65 and older typically account for between 50 and 60 percent of flu-related hospitalizations and almost all (90 percent) of flu-related deaths. The good news is the Centers for Disease Control and Prevention (CDC) says this year’s flu vaccine should be more effective than last year’s. Besides getting the flu vaccine, another way of preventing the spread of disease is to wash your hands. The CDC says that if everyone routinely washed their hands, a million deaths a year could be prevented! But not everyone knows the proper ways to wash their hands. To wash hands properly, be sure to always use soap, clean running water and scrub for at least 20 seconds, which is about how long it takes to sing the “Happy Birthday” song. Dry your hands using a clean towel or air dry them, as germs can be transferred more easily to and from wet hands. If soap and water aren’t available, the CDC recommends an alcohol-based hand sanitizer that contains at least 60 percent alcohol. Be sure to rub the sanitizer over all the surfaces of your hands until they are dry. Don’t share personal items. Toothbrushes, towels, razors and nail clippers can be filled with bacteria, viruses and fungi. Don’t put your purse, backpack or bags on the kitchen table, countertops or anywhere food is prepped or eaten. These items often come in contact with nasty places (think public bathrooms, shopping carts, etc.). Keep your pets in check. Make sure Fido and Fluffy are up-to-date on their vaccines, bathed regularly and don’t drink from the toilet. Keep the litter box tidy, clean up any accidents right away and make sure your furry friends don’t bring fleas, ticks or other critters into your home. Clean and disinfect frequently touched areas. Door handles and light switches may not be the first place you think to wipe down. But these high-contact areas are easily contaminated, especially when someone in the home is sick. Avoid clutter. Limit places where dirt, dust and germs can collect. Additionally, use the same etiquette at home as you do in public. Cough and sneeze into the inside of your arm, not your hands. Make sure tissues go immediately into the garbage and, of course, wash your hands! Keep a lookout for flu symptoms. While the 2015 flu shot is promised to be more effective than last year, that doesn’t mean you should let your guard down. Flu symptoms to watch for include: high temperature, headache, fatigue, chest discomfort, cough, sore throat, runny, stuffy nose or general aches and pains. 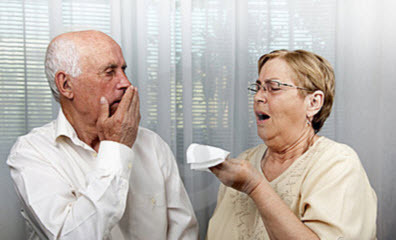 At the first sign of flu symptoms in your elderly loved ones, seek medical advice immediately. The flu shot combined with a watchful eye can go a long way when it comes to keeping healthy and preventing the spread of disease and germs. ComForCare/At Your Side Home Care offers around the clock services, so you can live your best life possible, even during flu season. 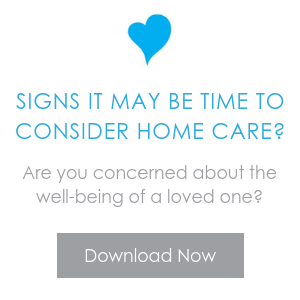 Contact us at ComForCare/At Your Side to learn more about ways we can help.